I can't believe it is that time of year again. It's time for my annual holiday gift guide for runners, which is really just a thinly veiled personal holiday wish list. So If you are a friend or family member (or extremely generous stranger) I've laid it all out for you. If you are anything like me, you will get up at 5am (or earlier!) on any given non-work morning to run a race, but you wouldn't be caught dead fighting crowds at the mall (or insert any other retail establishment here) at that hour to save a few bucks. Black Friday is not my thing. I like a good deal as much as the next gal, but I prefer to avoid fist fights and do my Black Friday shopping in the comfort of my pajamas. 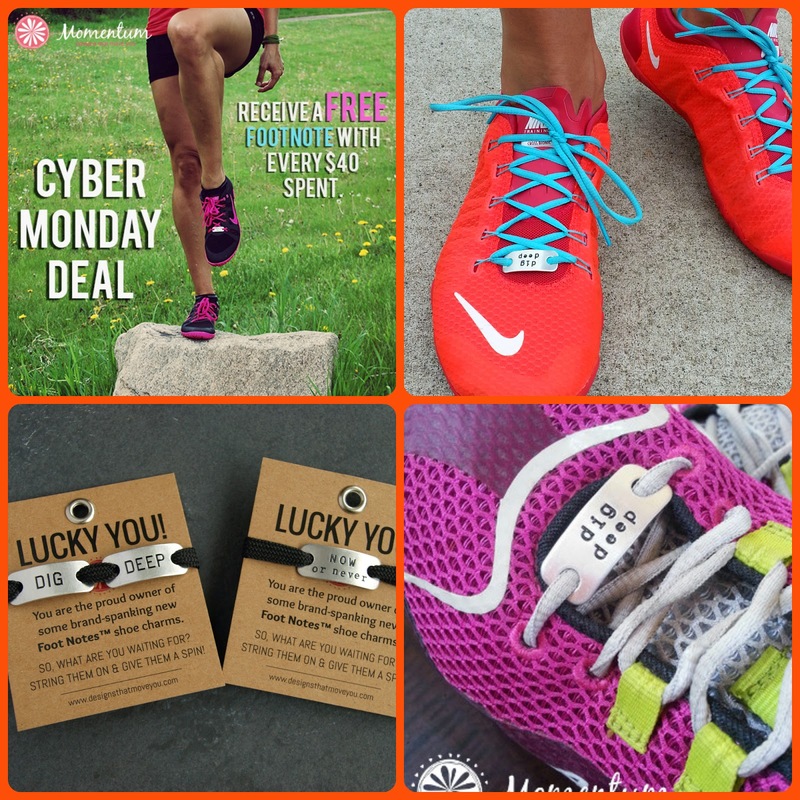 This year I am sharing these awesome Black Friday/Cyber Monday deals from some of my favorite companies so you can do all the shopping for your favorite runner in your underwear, and save the getting up super early for your long runs. Disclosure. Some of the links below are affiliate links, which means I make a small percentage if you choose to purchase, which helps support the maintenance of this blog. Unless otherwise noted, these discount codes are valid from Friday November 28th - December 1 2014. These promo codes were provided from the manufacturer. 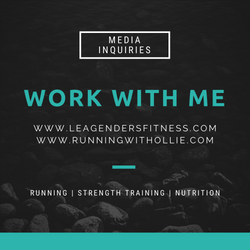 Running with Ollie Blog is not responsible for pricing, typographical, or other errors. I am putting this on my ultimate runner's gift guide because I want someone to buy this for me for Christmas. It has thumb holes (THUMB HOLES, I TELL YOU). 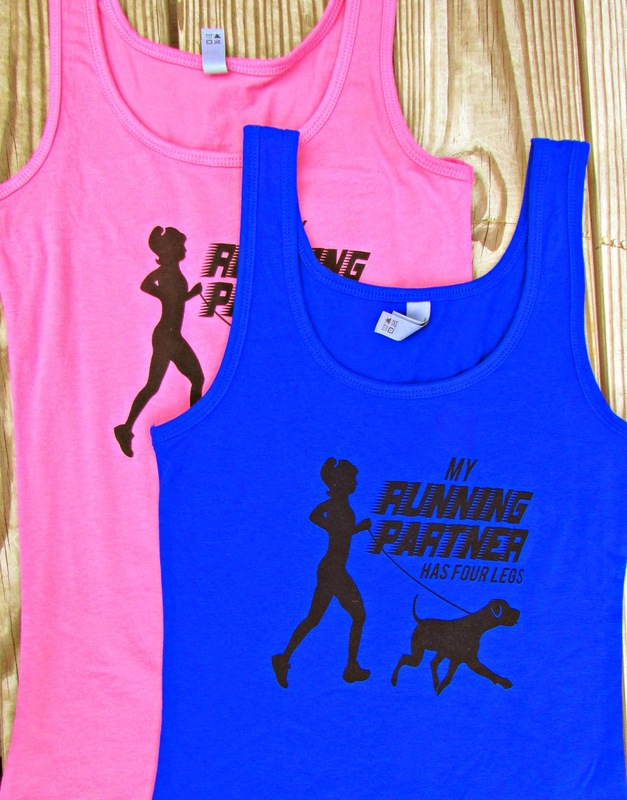 It couldn't be more perfect for me (um, I mean for the runner in your life) and it's 20% off through Dec 1st from ilovetorun.org. These "Runner" Yoga pants are the ideal pants for your favorite runner. We like to run, but more importantly, we like to talk about running. 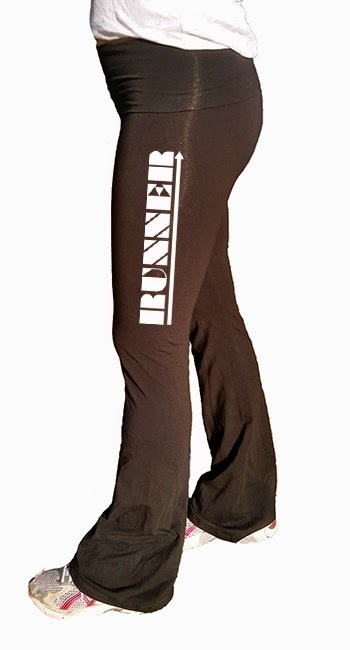 These "Runner" yoga pants are the perfect conversation starter. I can tell you from experience that they are comfortable, stylish, and slimming. Receive 25% off all Shine Athletica apparel from Friday through Monday December 1 on Shine Athletica.com or Etsy shop. Check it out the sites for a ton more cute designs. If you know a runner, they are probably gearing up for the long winter running season. Just because it is cold outside doesn't mean we stop running. Haven't you heard the runner's creed? "Neither snow nor rain nor heat nor gloom of night...." Wait. I think that one belongs to the US post office, but the runner's creed should be the same. We are running no matter what, we just need the proper gear to stay safe and warm. 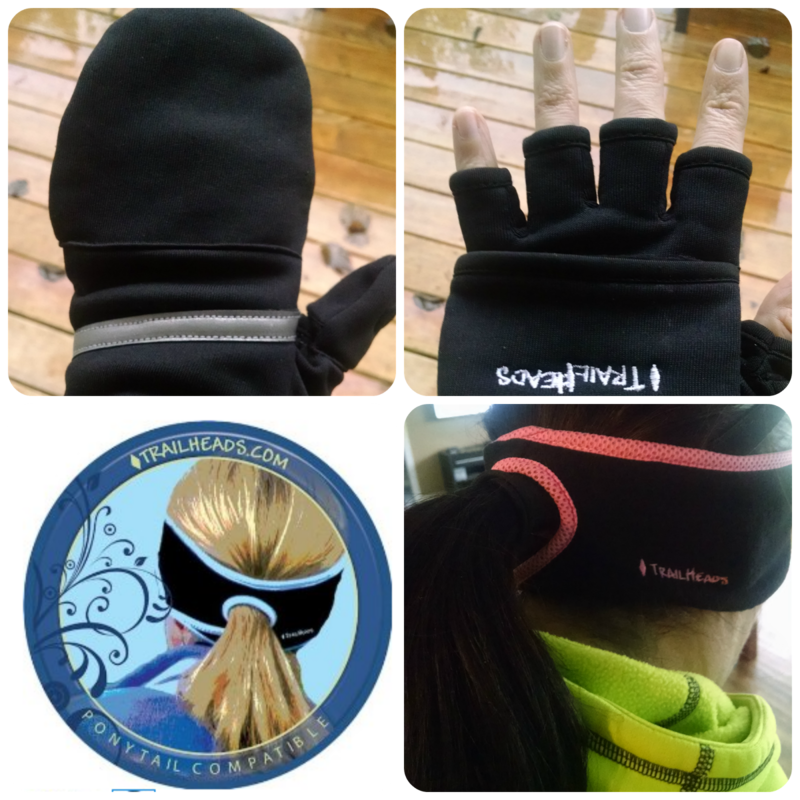 I love TrailHeads and especially their awesome convertible mittens and the ponytail headbands. There is a hole in back for your ponytail! How cool is that? They are having a sale on these two items now. I know what you are thinking. 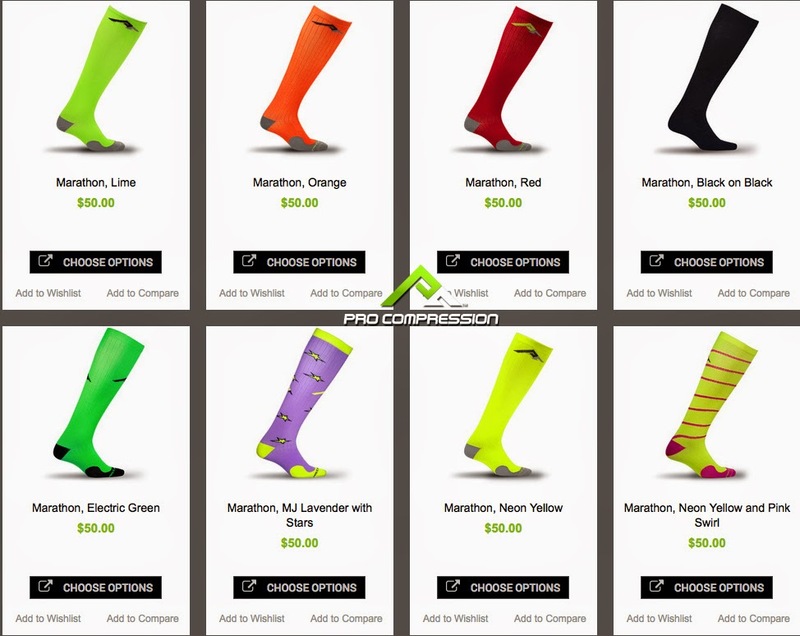 You're pretty sure that the runner in your life already has a pair of compression socks. The truth is that runners can never have too many, especially when there are so many color and pattern options. If you know a runner who is running a holiday themed race or has been training for a big race, they will love a new design from ProCompression. Once I started using the FlipBelt, I never looked back. What do you do with your necessities when you run? When we run we need our phones, our keys, our ID, not to mention fuel! 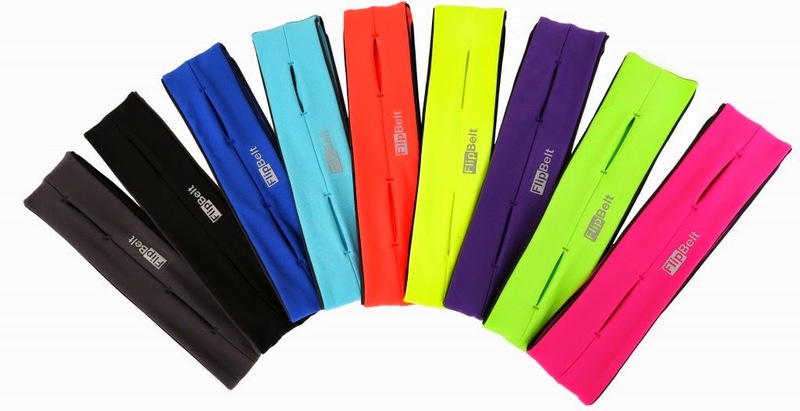 There are other running belts with small pouches, but they usually bounce around a little bit. 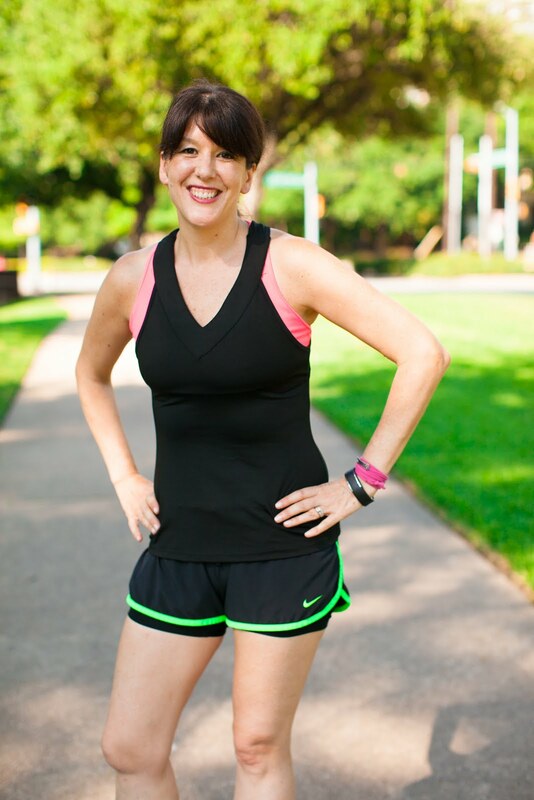 The FlipBelt is a sleek smooth tubular running belt that holds all your running must-haves close to your body with no bouncing, no moving around, and it's surprisingly roomy. 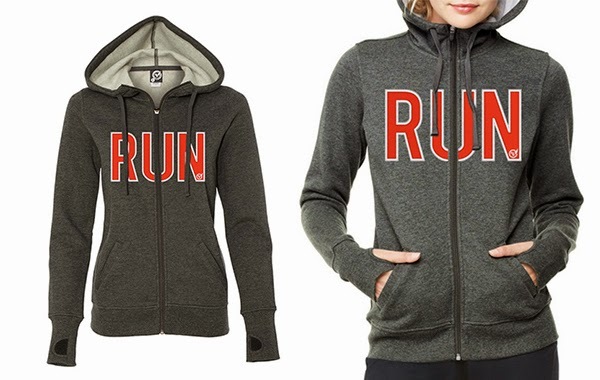 Give the gift of sleek to your favorite runner. If they don't know about this already, you will certainly be their new hero. I need one in every color to match my running outfits. If you know a runner, chances are they have acquired a collection of race medals. They may have them stashed away in drawers, hanging on door knobs, or hidden away in closets. Help them display their accomplishments with pride with an awesome medal hanger! There are tons of designs to choose from, plus if you are feeling really creative, you can design a custom display with their name or favorite running mantra. The best part? Allied Medal Displays created a special discount code just for Running with Ollie readers. Save 10% off through 12/2. At some point most runners will have some special running needs, whether it is preventative, performance or post injury support. 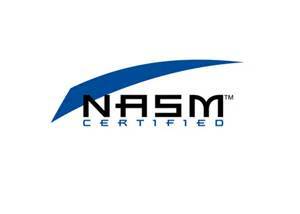 The entire BioSkin site has you covered with 15% off. Click the image below to check out the site for compression accessories and apparel for all your running needs. It's the gift that keeps on giving. Give a healthy subscription box! 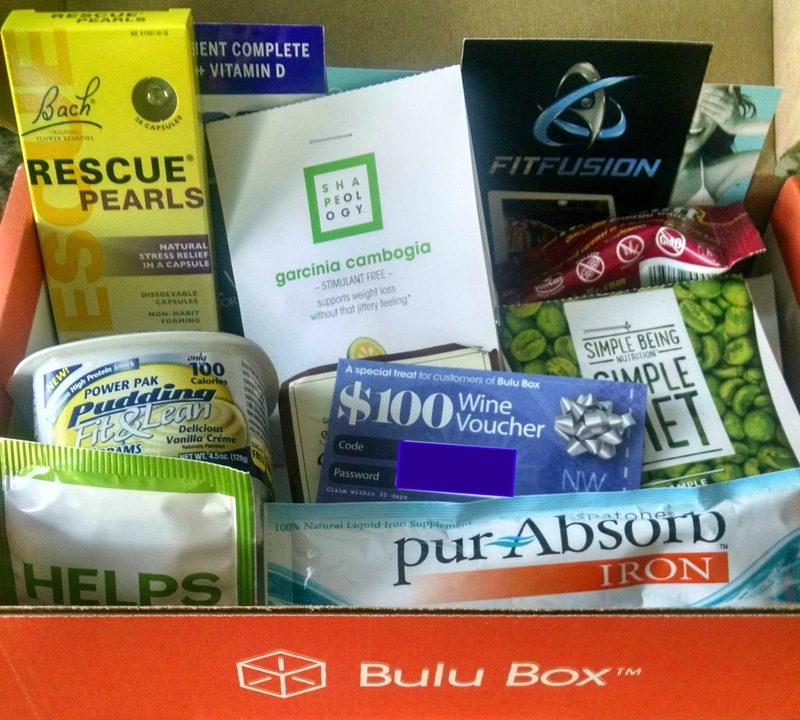 For three months, your favorite fitness enthusiast will receive a Bulu Box filled with 4 to 5 premium samples from top brands. (Picture shown is a couple of boxes combined to show the variety and types of samples.) Black Friday / Cyber Monday Sale! Get a 3 Month Subscription ($30 Value) For Just $10! Use Promo Code Wowzas Today and Save! Every runner loves running jewelry. These adorable Footnote charms slide on your shoelaces with motivating messages. They're free on Cyber Monday only (December 1st) with any $40 purchase from Momentum Jewelry. Lorna Jane: Fit Friday sale on now, over 100 new sale items. http://www.lornajane.com/sale. Use the code FIT20 – to receive $20 off (Min spend $100). Apera Gym Bags: All Apera bags are marked at 20% off and all the Duffel Packs are 40% off. If you must brave the stores on Black Friday, I recommend visiting your local running store. Support these independent businesses in your community. Don't forget that Saturday is small business Saturday, so whether you do you shopping in stores or online, remember to support the small business. Do you hit the stores on Black Friday or do prefer to shop from behind a keyboard? What's on your wish list? Will you be taking advantage of any of these deals? If you want some of the goodies on this list, please share this post with your loved ones. 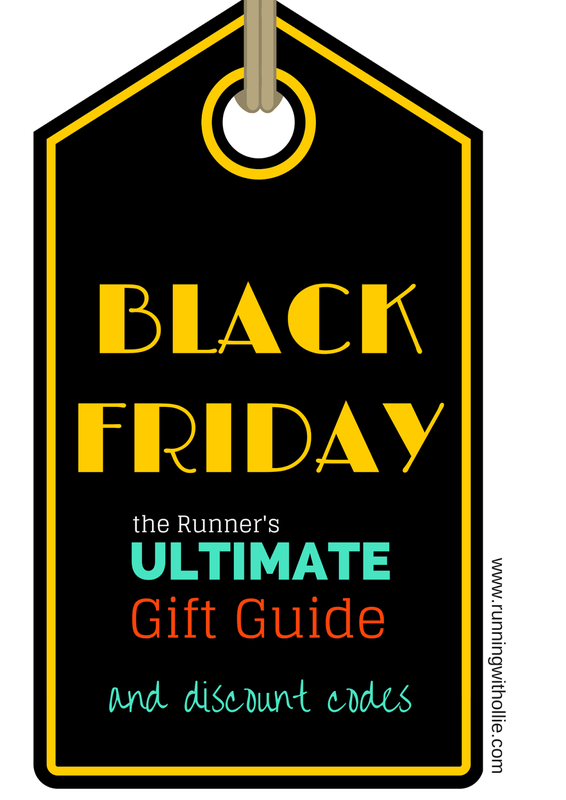 What's your favorite thing from my runner's ultimate gift guide? Tell me in the comments! I'll consider it your Christmas present to me. Great list! I love my PRO Compression socks, FlipBelt and Allied Medal Display! OMGOSH I LOVE THE TANKS. Oooh, great list! I love my Apera bag, so I'm going to have to go check out the duffel bags!